Changing teams of authors report about the MOSES campaigns. In the MOSES blog, different groups from the contributing Helmholtz centres jointly report from the work on their field campaigns. Therefore, the authors of this blog change depending on the respective campaign of the four event groups “Heat Waves”, “Hydrological Extremes”, “Ocean Eddies” and “Permafrost Thaw”. The here blogging students, technicians or scientists are all member of the MOSES community and share the interest to build up a novel observing system focusing on the importance of short term events and extremes on the long-term trend of our Earth system. Because the work of MOSES comprises national and international cooperation partners, this blog has German as well as English contributions. Ute Weber (UFZ) is coordinating the MOSES initiative. She has worked in various areas of Earth and environmental science as well as in research management. 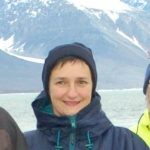 Julia Boike is the leader of the working group „Sensitivity of permafrost energy and water balance” at the Alfred Wegener Institute. As the coordinator of the MOSES working group on permafrost, she will lead this years’ expedition “mCAN2018” to the Mackenzie delta in the western Canadian Arctic. Her great passion is the multidisciplinary science of permafrost – looking at the interactions between the hydrology, climate and soil of Arctic landscapes. She investigates the processes that form and degrade permafrost – both in the past and today. 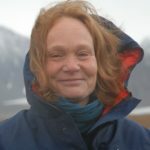 For more than 25 years she travels to Arctic field sites every year to observe the ongoing changes in the Arctic at remote places in northern Canada, Siberia (Russia), and Svalbard (Norway). Ingeborg Bussmann works as senior scientist at the Alfred Wegener Institute in Bremerhaven and Helgoland. Her area of expertise lies in the biogeochemistry of the methane cycle. She participated in several cruises on large research vessels, but also worked on smaller boats on rivers and lakes. 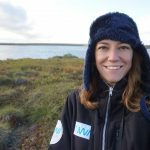 During the mCan-2018 expedition she will coordinate the aquatic work and will also measure the methane distribution in the coastal area of Tuktoyaktuk and in the lakes. Even though with some expertise in the Russian arctic, she is looking forward to experience the Canadian Arctic. Münevver Nehir is doing her PhD on chemical sensor applications at GEOMAR since November 2016. As part of the “Water Column Biogeochemistry Group” she has joined several cruises and conferences on marine sciences. She is excited about starting her field research in the permafrost areas of the North Western Territories in Canada. She hopes to enhance our understanding of the unique conditions of these areas. During the mCAN2018 expedition, Münevver will install CTD, nitrate, methane sensors to operate on the lakes of the Mackenzie Delta and Beaufort Sea and be a part of an interdisciplinary research team. 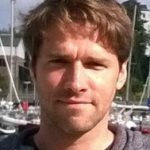 Tim Weiss works as a Software Engineer and Technician in the “Deep Sea Monitoring Group” at GEOMAR since 2013. He prepared and joined several cruises to monitor and examine CH4 releases in the ocean using cameras, echo sounders and atmosphere measurement devices. During the mCan2018 expedition Tim provides technical support, installs and operates multi- and single beam echo sounders, helps out in the lab and is one of the main “paddle engines” in the canoe.